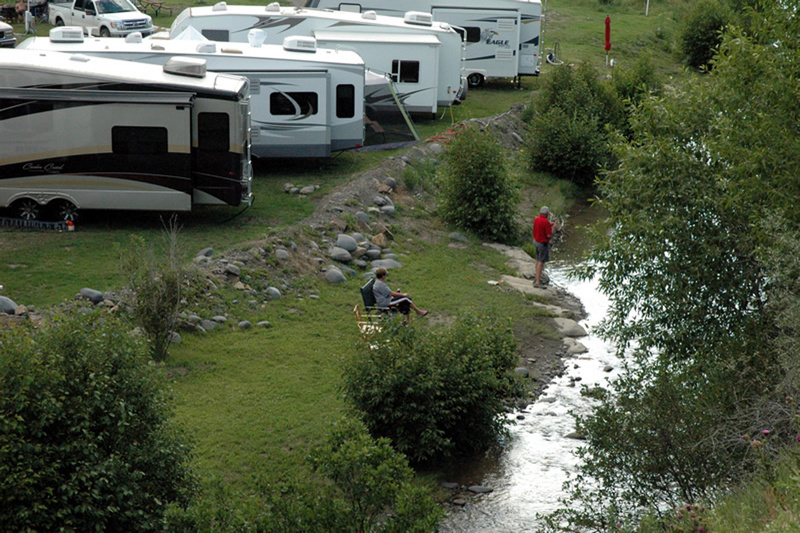 Blanco River RV Park in beautiful Pagosa Springs Colorado is a hidden, little gem, off the beaten path where you can rendezvous with old friends, have a family reunion or meet new friends you’ll have for years to come! The beautiful Blanco River runs peacefully through our property and is surrounded by San Juan National Forest. We’re just a hop, skip and a jump from the beautiful Weminuche Mountains. Wolf Creek Pass starts just 10 miles away with the beautiful Treasure Falls hike at the base of the pass. Or go to the top and experience the panoramic views in all directions from the Continenal Divide only the Mile High State can provide! It’s a short drive into Pagosa Springs where there is every activity you can think of to make your journey through the beautiful southwest part of Colorado one you will never forget. We have the Pagosa Springs Official Visitor Guides in the office to help you find your way. The thing that is special about Blanco River RV Park is the care factor we provide our guests! We’re happy to be here and know you will be too! We’re proud of this wonderful slice of heaven we call home and we hope you will feel the same! As the new owners and managers of Blanco River RV Park, we welcome you to the Blanco River RV Park family. We look forward to making your stay with us a relaxing and memorable one! Please let us know if there is anything we can do to help you during your stay here at the Blanco River RV Park in Pagosa Springs.